We’ve got some great games like Gravity Guy for you today that offer hours of non-stop fun with challenging environments to explore. Like the title in question, the releases listed below put you in an endless run across different locations. We’ve got a mix of 2D and 3D games and the goal remains the same for each of them – Achieve a high score by going as far as possible without dying. Just so you know, we’ve mostly featured mobile releases on this compilation. Let’s take a look at the options below. 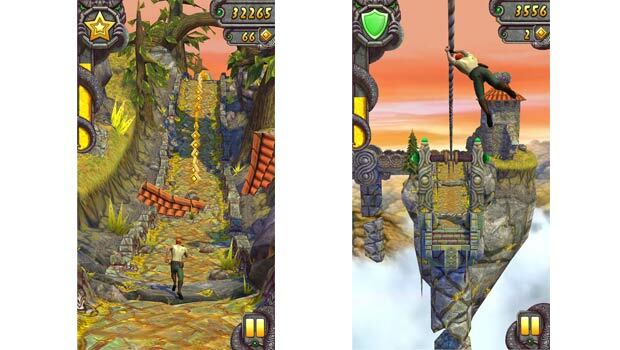 Temple Run was a smash hit when it was launched back in 2011 for iOS. There have been various versions of the title and also many rip-offs, but Imangi Studios finally launched a successor just last year. The new release is available for free on Android and iOS. Not only did it introduce better graphics, but various features that make the overall experience all the more immersive. The gameplay is basically the same, you try to escape monsters after stealing a cursed idol, but you’ll be presented with new obstacles to overcome like cliffs, zip lines, mines and forests. There are new power-ups and special powers as well as more achievements to unlock. For: iOS, Android, Windows Phone. 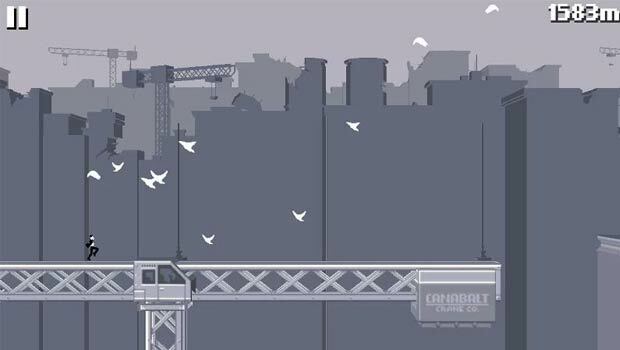 What makes Canabalt a viable choice on this games similar to Gravity Guy compilation is that it offers very addictive gameplay that’s also extremely simple. This release doesn’t have high quality graphics and jaw-dropping effects, but it will get you heart racing as you attempt to escape a city that’s on the verge of destruction. The main objective here is to survive for as long as possible by jumping across rooftops to avoid falling to your death and averting obstacles that block your way and slow you down as well as falling debris from buildings and airplanes. You start off running slowly and pick up pace as you progress. Like we mentioned above, Temple Run popularized the endless running segment and it even gave rise to various titles that offered similar gameplay. 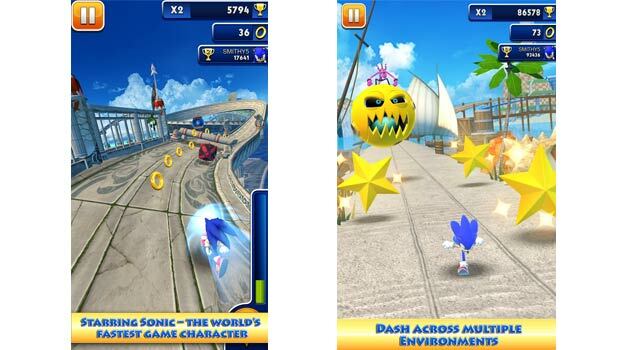 Sonic Dash is one of the many releases in this category. Featuring Sonic the Hedgehog, you sprint your way down an endless track and collect coins to achieve a high score. Obstacles like trees, jumps and various creatures will be scattered across the place to stop you. To get more speed, the Dash move can be unleashed which can also destroy anything that’s blocking your path. There are other abilities at your disposal as well, and power-ups such as head starts, revives and ring magnets can be found along the way. Apart from Sonic, you’ll be able to control other characters like Tails, Knuckles and Amy. 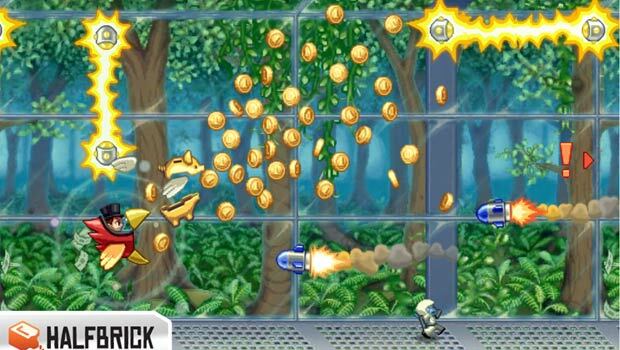 Jetpack Joyride is amongst the few Gravity Guy alternatives that offer 2D side-scrolling gameplay. While most releases in this category will have you running for your life, this one is quite the opposite. You’ll take control of Barry Steakfries as he infiltrates a secret laboratory in order to take possession of experimental jetpacks from the enemies. Equipped with a jetpack, you fly through the laboratory and fire bullets, rainbows, lasers and bubbles downwards to attack fleeing scientists. There are various power-ups that show up along the way which provide you with new suits that can teleport, alter gravity and more. To stop you from progressing, lasers, electricity fields and missiles will randomly appear. With the coins you collect, you can purchase upgrades through the store. A lot of developers have started adopting the freemium model for their titles and Marvel has done the same for its official Iron Man 3 release. Available on Android and iOS platforms, the title is basically your normal 3D endless runner, but with unique features. You play as Tony Stark in the Iron Man suit and you take on A.I.M. forces from around the globe. There are three different locations to fly in, namely Malibu Shores, New York City and China. Collecting coins will allow you to purchase upgrades and new abilities which come in handy for boss fights. Speaking of which, you’ll go up against Crimson Dynamo, Ezekiel Stane, Living Laser and M.O.D.O.K. Your goal is to destroy all enemies by simply swiping across the screen, before they destroy you and you’ll also have to dodge missiles which appear randomly. 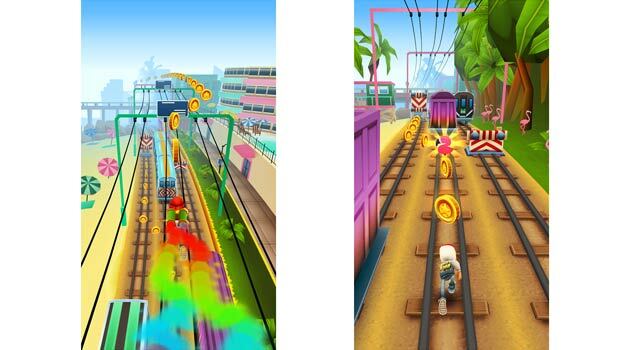 Next on the games similar to Gravity Guy array is Subway Surfers, a 3D runner where you hit the railway tracks and take on incoming trains. Like all titles here, your goal is to go as far as possible by avoiding obstacles which in this case are stationed trains and boogies, incoming locomotives as well as dead ends. You’ll also have to outrun the grumpy inspector and his dog. There are three different characters to play as, namely Jake, Tricky and Fresh. Apart from running, you can quickly move with the hoverboard or fly with the paint powered jetpack. 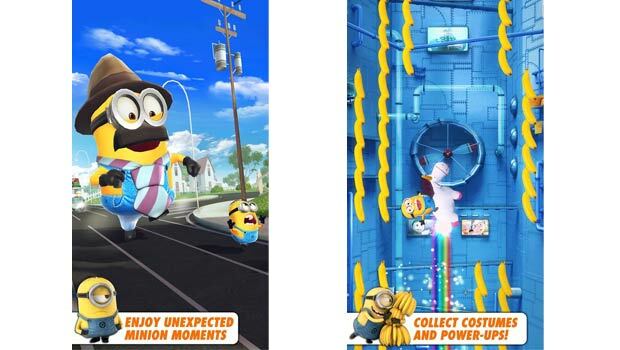 Last on the list is Despicable Me: Minion Rush which is based on the animated movie Despicable Me. 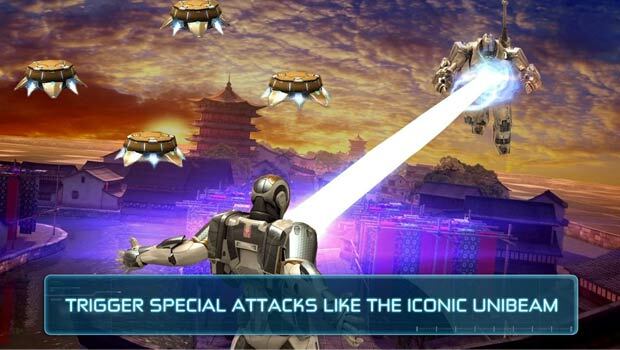 Developed by Gameloft, you’ll be treated to gorgeous graphics and fun filled gameplay. This title is yet another endless runner which has managed to earn a lot of popularity by delivering unique features. For instance, you’ll have a large amount of missions to complete as you aim for the title of Minion of the Year and also boss fights where you’ll encounter an all-new villain who is exclusive to this release. Apart from these, there are bananas to collect, bonus modes, different camera angles and Mega Minions for more destruction. Apart from what we’ve listed out, another viable option for the games like Gravity Guy roster is the sequel to the title in question which can be downloaded through the App Store and Google Play, that’s if you haven’t already done so. Be sure to share your high scores with us and your thoughts on these releases. Previous articleWould Google abandon Nexus devices in favor of Google Play Editions?